In the 1990s comic boom, Marvel was handing out solo series to just about anyone they could. Nightwatch, Blackwulf, Blaze, Blade – the list goes on and on. 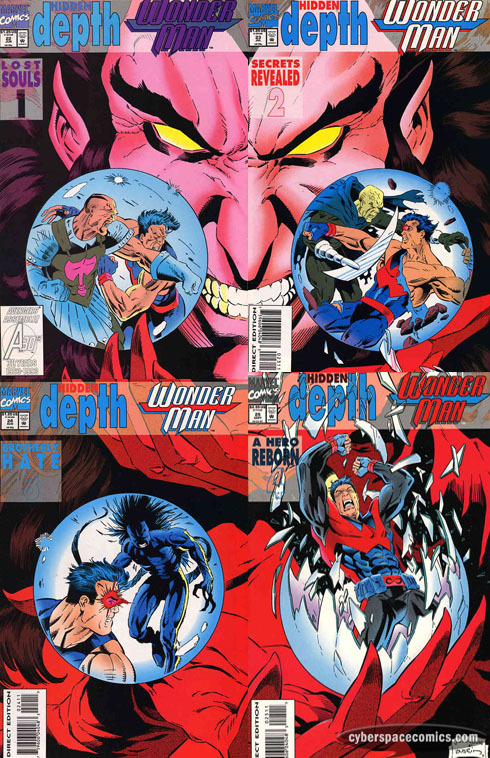 One of the more successful of these new series followed an Avenger: Wonder Man. In celebration of the two year mark, the writer (Gerard Jones) cooked up a storyline called “Hidden Depth” that gave the character some new powers. However, the story has been retconned since – implying that a lot of the developments here were all just lies created by Mephisto.